The Riverwalk lights in Downtown San Antonio are a one of a kind sight worth exploring during the holidays. 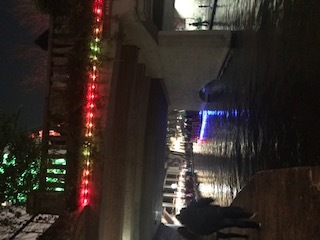 The Riverwalk is lined with Christmas lights all around giving a great opportunity to walk the banks or enjoy a boat ride. 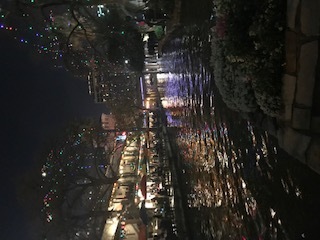 As you probably know the Riverwalk is lined with all kinds of restaurants, bars and entertainment...the Christmas lights are just an added touch to make it extra special. Can make a detour before or after grab a nice dinner, cocktails, catch a show, game at the Alamodome, event at the convention center, visiting the Tower of Americas or historic Alamo or just go to enjoy a nice walk. 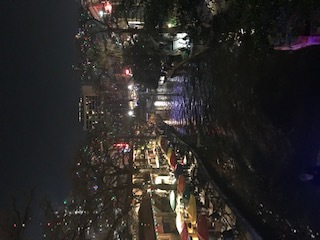 If you are in the San Antonio area during the Holidays even if not staying downtown it is well worth it to schedule some time to visit downtown and the Riverwalk. The lights stay up through New Years week so plenty of time through the holidays if want to make an event about it. Not the best quality but here are a few pictures and photos of the lights up at Riverwalk from my iphone to give an idea.